Atrani is GORGEOUS. I will return. 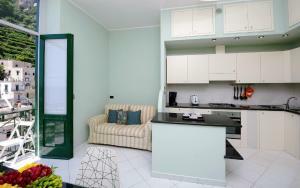 Excellent location, 5 min walk to Amalfi, quick boat ride to Positano, Minori, Maiori, Capri, etc. Spacious, clean, and the view from the balcony and windows. Above all, the host Teresa is just fantastic in assisting you to make your stay a memorable one! She is so great communicating and made sure that all my questions were answered even before our arrival. Wish we could have stayed longer. 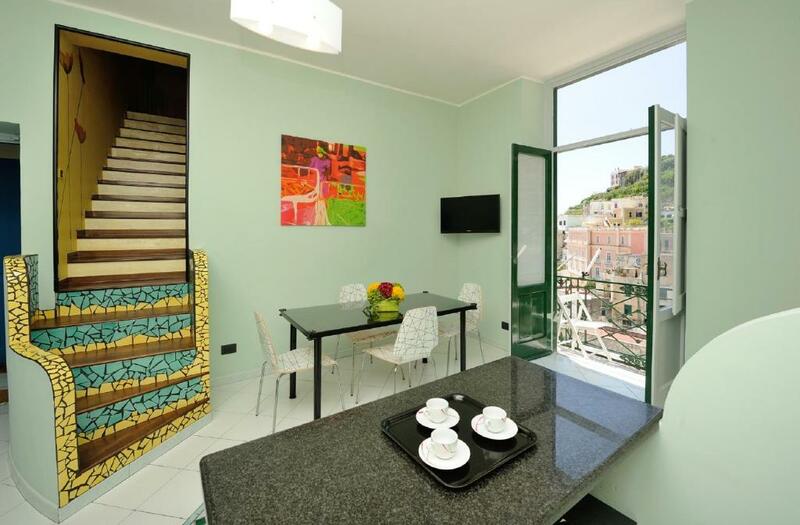 Breathtaking views from every room and good proximity to Amalfi. Donna Teresa was very nice and helpful; she arranged for our pick up from the ferry, showed us around and generally had a ton of useful information available (restaurant recommendations, things to do in the area, etc). She couldn’t have been more helpful.. Would 100% stay there again and recommend to anyone looking to visit the Amalfi coast. Teresa was the host with the most. She met us at the bus stop and led us to the apartment. Atrani has lots of stairs so make sure you remember your way back. Teresa kept a folder in the aprtment that shows you information about restaurants, day trips, hiking trails, bus time table, you name it its there. The place also has a washing machine and you hang your clothes out on the balcony to dry just like the locals. 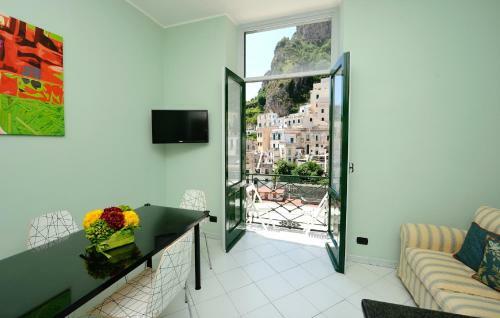 Atrani is a great place to stay, within walking distance to Amalfi for ferry rides to Capri and Positano. The apartment and location was perfect for us. Very clean and fully-equipped house with a short walk distance to Amalfi, where you can explore the Amalfi coast (Capri, Positano, Rafello etc) easier by ferry/bus. Local restaurants in Atrani are good, so quite relaxed to have a breakfast/dinner closed to your apartment. 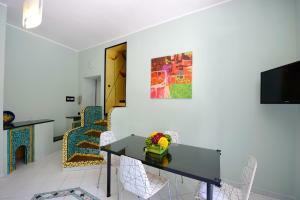 Android a wonderful stay in a well appointed and carefully maintained apartment. This is one of, if not the best rental we have used. The entire apartment was absolutely wonderful. The view from the balcony and the sea breeze while sleeping at night from the 3 large windows in the bedroom was a true highlight of the trip. Meeting to get the keys and to checkout was extremely easy. Teresa had a lot of great information for us in a book and went through it all at checkin. Apartment was outstanding. Very clean and wonderful views of Atrani and the Amafi Coast. Would stay again. Owner was very helpful providing our family with information about the area. 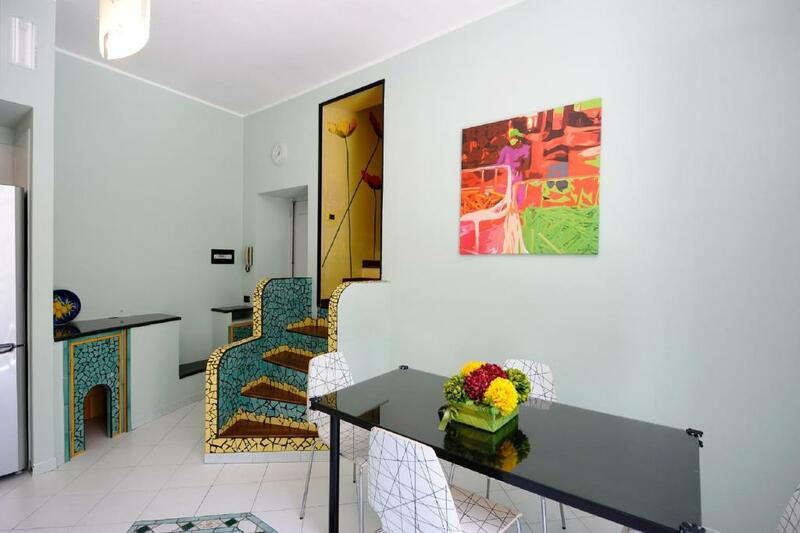 Lock in a great price for Lae Domus – rated 9.7 by recent guests! Lae Domus is a self-catering accommodations located in Atrani, 750 feet from the beach. Free Wi-Fi access is available in all areas. With sea views, each apartment will provide you with a flat-screen TV, air conditioning and a balcony. Featuring a shower, the private bathroom also comes with a hairdryer. Amalfi Cathedral is a 15-minute walk from Lae Domus. Positano is 13 mi away. 뀐 Located in the top-rated area in Atrani, this property has an excellent location score of 9.5! When would you like to stay at Lae Domus? 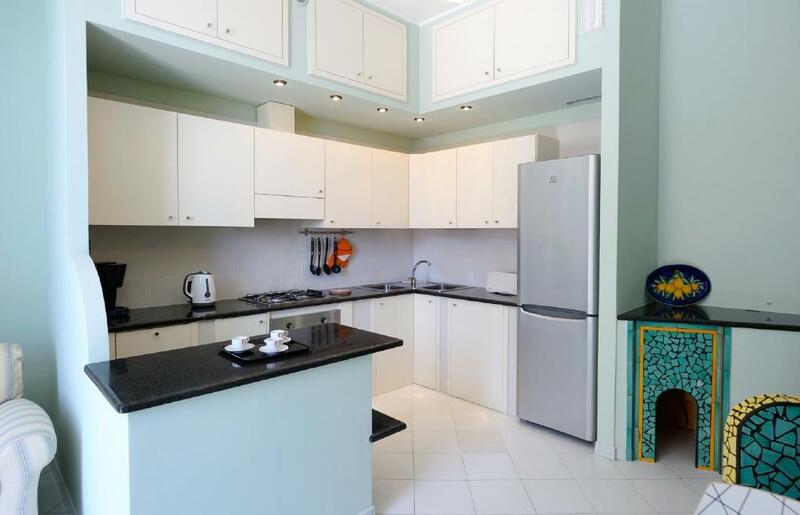 This apartment features a flat-screen TV, air conditioning and free Wi-Fi. House Rules Lae Domus takes special requests – add in the next step! ATM card Lae Domus accepts these cards and reserves the right to temporarily hold an amount prior to arrival. Lae Domus accepts these cards and reserves the right to temporarily hold an amount prior to arrival. Please note to reach the apartments, guests have to climb up 150 steps. Please inform Lae Domus of your expected arrival time in advance. You can use the Special Requests box when booking, or contact the property directly using the contact details in your confirmation. The kitchen / dining area is a bit on the small side. Just about OK for two, but would be tight for a family. So many steps - but that's hard to avoid in Atrani and Amalfi! Wonderful host. Stunning location. Beautiful views. The large and comfortable master bedroom. There are quite a few steps to reach the apartment, as well as in the building up to the room. The wifi cuts out from the main floor to the bedrooms. The shower is quite tiny. Teresa was amazing! She met us at the bus stop & actually got on the bus and called out our names to make sure we got off at the right stop. She gave us a tour of Atrani as we walked to the property. She had a wonderful information book with maps, information, recommendations, tour suggestions, restaurants, etc. The views are beautiful and there is quite a bit of room if you are travelling with a family or multiple couples. Atrani is a great base if you are exploring other cities on the coast. We went to Amalfi, Positano, Capri & Ravello. The only suggested improvement would be to provide a beach towel for each guest. Excellent facilities and wonderful host. It’s not a downside- just be aware in case you’re traveling with anyone that has any physical restrictions: there are many steps (about 180) between the apartment and the main square/street. Incredible apartment in a charming town. Atrani is the smallest city in Italy, but a 5 minute walk to Amalfi. This allowed for a quiet and relaxing stay with the option to venture into the busier part of the coast. Local beaches were great to avoid crowds. Apartment was beautiful and clean. Teresa was the most wonderful host- incredibly responsive and helpful. She provided an entire book of information, maps, restaurants, and offered to make reservations for any excursions we wanted to do- super helpful if you don’t speak Italian. Lots of stairs but kept us fit! Very well equipped and comfortable home.... Teresa was very friendly and went above and beyond to advise us of all the local amenities. Terese gave accurate & extensive instructions for arrival at the property and about the area. Atrani was a great choice to stay at, much quieter than other areas. Easy, safe walking distance to Amalfi. The apartment had all the comforts of home, with a good kitchen, spacious bedrooms and a bathroom with washing machine. Parking was available at a garage nearby. Teresa was so difficult to deal with. We had traveled 24 hrs with 3 kids and she insisted on showing us every aspect of the unit after we repeatedly said we just needed to rest. The neighbors were rude and very unhappy that Lae Domus is a rental unit. There were 157 stairs to get in and out of the unit. Stairs to get to the accommodation! But I think that’s expected all across the coast. Aircon was amazing! Kitchen was handy and had everything we needed to make our own meals! Clean and very comfortable. The washing machine was a bonus also! Teresa was very helpful! Teresa was the best host. She was so lovely and welcoming and accommodating but mostly she was of great assistance to us. Nothin was ever too much. 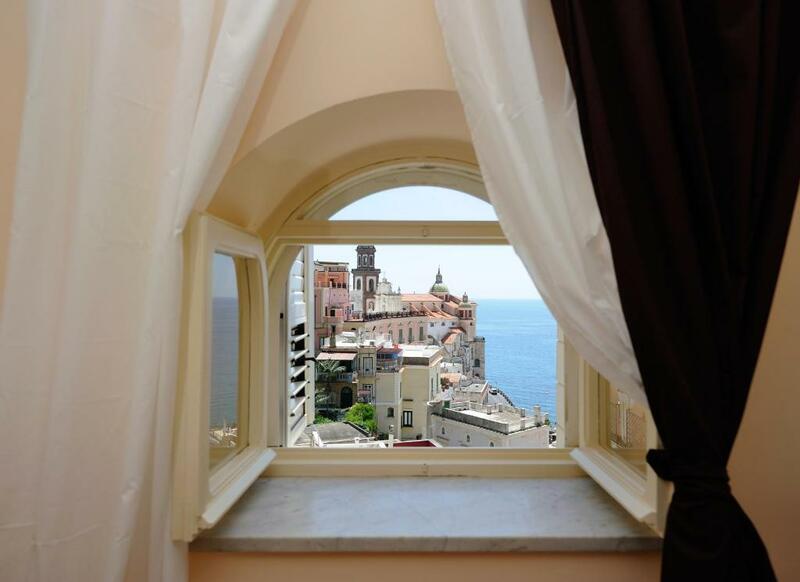 The apartment had perhaps the best view in all of Atrani! It is spacious, clean and absolutely perfect for us - we miss it! Also, Atrani ended up being so much nicer than staying in Amalfi as it is literally only a 5 minute walk away, just as beautiful but without the super busy, touristy things that Amalfi had. The view, the town, the local restaurants, the host! Teresa was a wonderful host, suggesting restaurants and assisting with luggage. 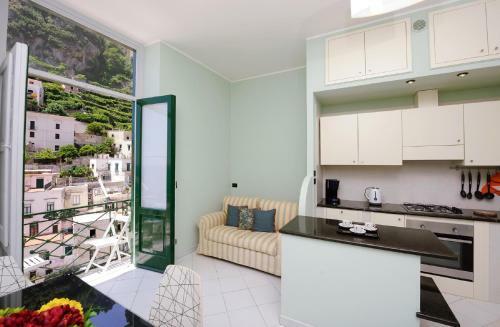 Beautiful accommodation, amazing views, everything you need for a wonderful stay in peaceful Atrani. Would definitely stay at Las Domus on our return to Atrani. Thank you Teresa for all your help.